Ted Andes has shared 52 consecutive weeks of building. 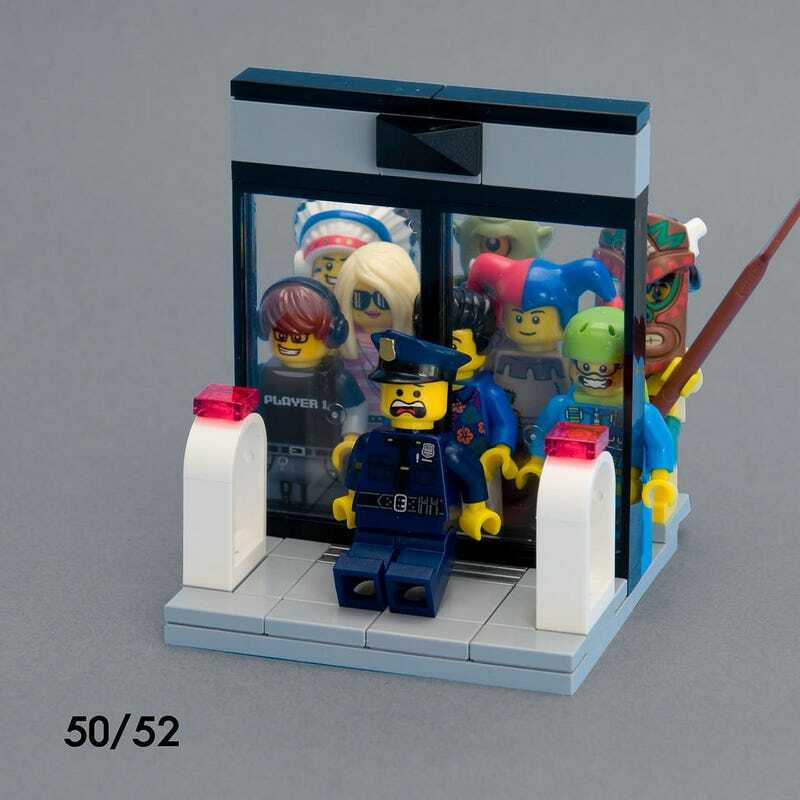 Each of the small Lego scenes was placed on an approximately eight stud square base for each week of 2014. Some are depictions of the holidays or events that week, others are just tributes to various shows or ideas. The entire collection is worth checking out, but here are a few of my favorites.